In TNT’s ‘Claws’, we take a look at the life and crimes of a band of five women who work in a South Florida artisan nail salon by day and the world of organized crime and money laundering by night. 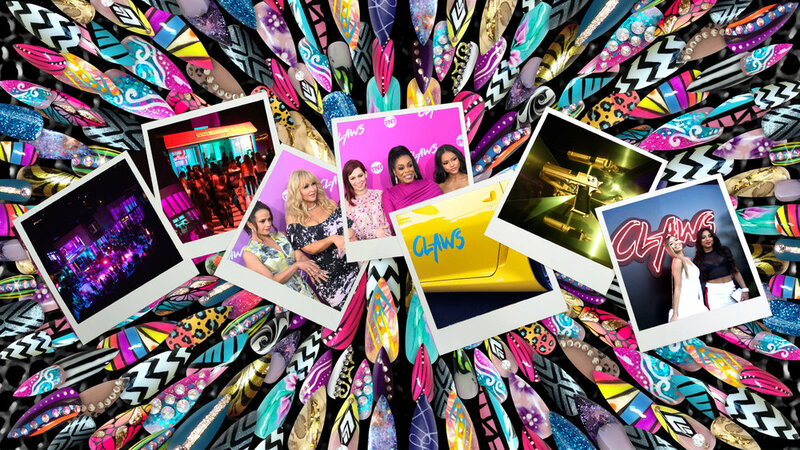 We captured the essence of this dark dramedy and produced a complete and immersive experience for the ‘Claws’ premiere event and after party. The evening commenced with the glitz and glam of a Hollywood premiere event complete with a zebra print carpet entrance and photo opportunity at LA’s Harmony Gold Theater. Guests were then transported to a residence in the Hollywood hills for the after party where they were led through the façade of the show’s South Florida nail salon into a high-octane party complete with exotic dancers, a walk-up nail bling bar, and the artistic talents of MC Lyte and percussionist Eddie Martin while enjoying their choice of custom Claws inspired cocktails.